We’re at a crossroads for American energy – in one direction lies Renaissance and prosperity; in the other, something far less. 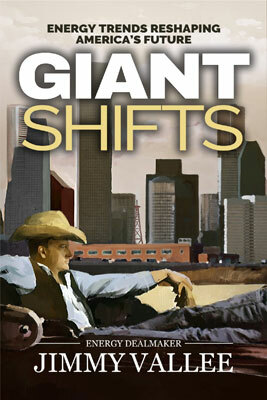 Giant Shifts is a roadmap to the former. The U.S. Oil and Gas industry is in the midst of several Giant Shifts, many due to the Great Crew Change. Baby boomers ran the show during the 1980s oil boom, expanding knowledge and developing industry standards. The subsequent oil bust meant an entire generation, Generation X, failed to participate. With a significant shortage of talent and the Boomers heading toward retirement fast, GenXers must now facilitate the transfer of knowledge from the Boomers to the Millennials and work to foster a new culture that Millennials will appreciate - a green-friendly, tech-savvy mentality with a very different outlook on safety, ethics and authority. Oil and Gas industry technology continues to grow at a logarithmic pace. From wildcatting, to seismic, to the Shale Revolution, the digital future of oil and gas is quickly approaching. Millennials equate information technology with oxygen, and are using that “techno-oxygen” to transform the energy biz - making exploration and production easier, faster and more environmentally safe than ever before. 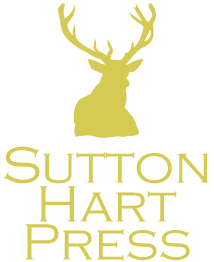 Nanobots, self-piloting drones, big data analytics and the internet of things can mean no dry holes – a hit every time. The industry must not only embrace these changes, but run with them. As new exploitation techniques grant us access to yet untapped oil deposits and the political and economical map of the world undergoes major transformations, the geopolitics of oil becomes an increasingly dynamic field for research and analysis. The Shale Revolution empowered America with a sudden, unforeseen oil and gas output capacity. OPEC continues to disintegrate, despite implementing strategies to try to stay in control of global crude oil pricing. Looking forward, the U.S. is poised as a dominant global oil producer driven by technological innovation. Oil and gas is a capital-intensive business, and now is the opportune time to explore new, inventive means of putting capital to work. The recent oil price plunge means banks and junk bonds are cutting oil companies out for capital. Oil and gas companies are financially unstable, putting a hold on drill sites and decreasing man-power. Stocks are down –and there’s no better time to invest in energy. Investing now will result in double and triple wins when commodity prices rebound, and private equity firms are in prime position to seek out bargains. The Baby Boomers are the largest generation in history to enter retirement, and the impact is going to be enormous. Boomers are presenting an insatiable demand for yield-based securities as a source of income for their later years. They don’t want long-term capital appreciation; they want a constant stream of checks in the mail – “mailbox money” – to provide them income for daily life and expenses. Royalty trusts, MLPs, ETFs and direct investment in oil and gas offer yield-based security vehicles with high-yields, impressive tax incentives and a steady stream of cash flow for investors – something corporate and government bonds cannot do in this low-interest rate environment. The rise of fracking has reshaped the global energy landscape. The global landscape is now moving from OPEC-controlled to non OPEC-controlled oil. U.S. reliance on foreign suppliers is reaching record lows. Shale gas obtained through fracking has created over half a million new jobs across the nation. The abundance of natural gas has convinced our chemical companies to invest domestically and foreign companies to build plants in the U.S. Natural gas prices are less than half of what they were three years ago, electricity prices are down, and the world’s largest consumer of hydrocarbons is now leading the globe in hydrocarbon reserves. Due to the fracking boom, we are moving toward American energy independence at an unprecedented rate. Like FDRs New Deal of 1933, the Shale Revolution is bringing about a brand new deal. It is time to rebuild America once again, using our abundant resources as a catalyst. But with such abundance comes responsibility - namely in energy, transportation and infrastructure. Continued innovation in cleaner-burning natural gas for electricity generation and transportation fuel, along with a transition from traditional building materials to advanced oil and gas-based materials of superior quality are the key to a sustainable future. We have the technology, resources, environmental incentive and capital for this shift from combustion to advanced materials production. There is no better time to rebuild American infrastructure and no better way to implement the oil and gas industry in the process. Unconventional reservoirs containing vast amounts of oil and gas exist in every oil and gas play in the world. So what has kept other nations from tapping into their own shale resources? Limited infrastructure, resources and technology all play significant roles in forming the perfect storm that leads to a successful shale nation. Yet today, the development of energy resources depends as much on political factors as it does on geology and technology. While some nations continue to struggle with a harsh political climate, environmental concerns and geologic difficulties, many other nations are learning from the U.S. oil and gas industry and using their own innovative means to surpass these hurdles, moving at a rapid pace in the quest for energy independence. For the first time in history, the United States is establishing itself as a net exporter of hydrocarbons to the world. The Shale Revolution has persuaded the U.S. government to lift a 40-year crude oil export ban and convert our multibillion-dollar coastal natural gas import facilities into export facilities. The ability to export these abundant resources boosts potential for economic growth, employment and global competitiveness and creates an opportunity to bring down our long-lived trade deficit. America is now able to aid its allies, exert enhanced non-military influence on foreign policy, enhance both national and global security and bring stability to the energy market. With our ample supply of natural resources and the oil export ban lifted, the only thing preventing us from moving forward toward energy independence as a nation is regulatory policy. Houston, Texas is poised to do for oil and gas what Silicon Valley has done for information technology. The centralized location, education, resources and talent that Houston offers presents an opportunity for the U.S. oil and gas industry to generate visionaries that lead the world in cleaning up our environment and rebuilding American infrastructure. A supportive network of businesses focused on the petroleum industry, an emphasis on STEM education, and the investment of money, intellect and time into an oil and gas industry-focused culture will attract and educate new talent, facilitate the advancement of global energy innovation and generate unbridled enthusiasm around hydrocarbons and their use in fueling a safe and sustainable future.